Pesticides, traps, and pest control companies are all popular options for handling an infestation. These can be pricey, messy, and dangerous, though, so many people look for alternatives. An ultrasonic repeller is a pest control option that doesn’t use harmful chemicals or leave dead bugs on your floor. It sends out an ultrasonic frequency that humans and larger animals can’t hear, but it bothers pests so much that they’ll flee from your home. Ultrasonic pest repellers are fairly inexpensive one-time purchases, but it’s still important to make an informed decision. They all work in similar ways, but they don’t all have the exact same features. UMISS Pest Repeller comes with six ultrasonic devices that can be plugged into electrical outlets. Each device can cover up to 1,600 square feet, but it’s recommended that you put one in each room because walls will limit their range. The product repels mice, spiders, roaches, ants, and a variety of other bugs. Because it’s designed to target mice and similar rodents, you shouldn’t use this product if you have mice, hamsters, or other rodents as pets. To set it up, all you have to do is plug the repellers in. Choose electrical outlets that are unobstructed and out in the open, so the frequency can reach as far as possible. One device will cover the second socket in an electrical outlet, so you may have to rearrange some of your other electronics to free up an entire outlet for the repeller . This ultrasonic repeller has excellent reviews, and most users report seeing a difference in just a few days. According to the seller, it might take 30 days to achieve the final results. You’ll probably notice an improvement right away, though. The devices cycle through a few different ultrasonic frequencies, so the pests can’t develop an immunity or a tolerance to the sound. If you keep using the pest repellers, the mice or bugs should go away for good. UMISS repellers also consume very little energy, so they’re a cost-effective option compared to buying pesticides or hiring a pest control company. The manufacturer says that the device doubles as a soft night light. However, several reviewers mentioned that the light coming from the device is too bright. You can’t turn the light off, but one user suggested covering it with a piece of electrical tape if it bothers you . Some users also have an issue with the device’s appearance. It says “UMISS” in large letters right on the front, so you may have a problem with this if you’re trying to be discreet about a pest problem. The UMISS Pest Repeller is one of the highest-rated ultrasonic repellers on the market. It works well for most pests, and it’s very easy to use. 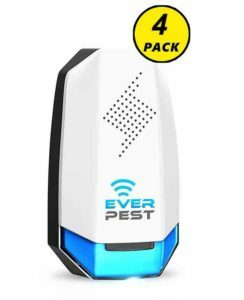 Ever Pest provides four ultrasonic devices in this package. Each device is fairly small, thin, and lightweight. Against white walls and outlets, it shouldn’t be very noticeable. However, it does say “Ever Pest” on the front of the device. If you want to hide the fact that you’re using a pest repellent, you’ll have to keep these in discreet locations. This product is mainly meant to repel mosquitoes, but it also works on rodents, ants, fleas, roaches, and other pests . To install the devices, simply plug them into unobstructed outlets. The repellers also include a soft light, so you can use them as a night light in your children’s rooms. If you don’t like the light, you can turn it off with the switch on the side of the device. One device can cover up to 1,800 square feet, but the frequency won’t travel well through walls. 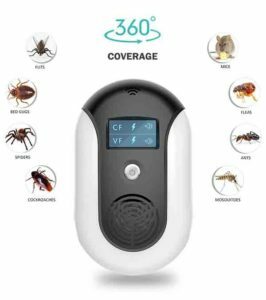 The package comes with four devices, so if you have a larger home with lots of walls, you’ll have to choose which rooms have the worst pest problems. If you want your entire home to be covered, you may have to buy another package to get extra devices. Ever Pest has great reviews from users trying to get rid of mosquitoes, mice, and other pests. It’s a good option for people who have smaller or more open living spaces. MaxPal Ultrasonic Electromagnetic Pest Repellent comes with a single ultrasonic device. To set it up, all you have to do is plug it into an outlet and hold down the power button for three seconds. You can keep it on at all times. It doesn’t consume much energy, so it shouldn’t have a big impact on your electric bill. For the best results, you should keep it in a central location in your home. Make sure the outlet you plug it into isn’t blocked by curtains or furniture. MaxPal uses a combination of ultrasonic and electromagnetic frequencies. It has an intelligent control chip that provides frequencies between 20 kHz and 158 kHz. The device cycles through 18 different frequencies, changing the sound wave every 16 seconds. This helps it repel a variety of different pests, including rodents, bats, squirrels, and bugs. The rotating frequencies also prevent pests from adapting to the sound wave. The electromagnetic frequency can travel through walls, which lets the device cover a wider area. Unlike ultrasonic-only devices, you don’t need a separate repellent for every room. Although the electromagnetic frequencies can travel through walls, the device will only cover about 1,000 square feet. This is a smaller coverage area than most other products, and the package only comes with one device . Depending on the size of your living space, you may need to buy more than one to cover your entire home. If your pest problem is only mild or moderate, plugging the device in near the worst of the infestation should do the trick. If your whole home is infested, though, you’ll need to make sure the MaxPal repellent will actually provide complete coverage. The MaxPal device is a good option for people with lots of walls, furniture, or other obstructions in their home. Instead of buying an ultrasonic repellent for each room in your house, you can use this product for wider coverage. This product is a small and subtle device. Nothing printed on the repellent says anything about pest control, so visitors to your home won’t know what it is. The seller offers a quality assurance guarantee and a lifetime warranty, so you can get your repellent replaced or get a refund if it doesn’t work . You should give the device a try for at least two weeks before returning it, but after that time, the seller will offer you your money back. 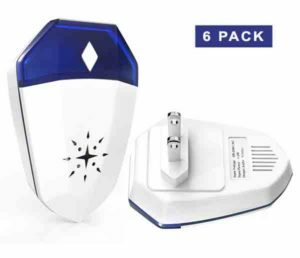 WILDJUE Pest Repeller ElectroMagnetic comes with a pack of six devices. It targets rodents, rats, and most bugs. When you plug it in, it should work automatically without needing any installation or set-up. One ultrasonic device should cover between 850 and 1,300 square feet, but the frequencies won’t travel through walls. You may notice results right away, but it can take up to three or four weeks to achieve the full effects. For the best results, try to set up the repellents away from curtains or carpeting. Carpets and certain fabrics can absorb sound waves and make the ultrasonic frequencies less effective . The product should still work in carpeted rooms, but the sound waves might not travel as far. The ultrasonic devices say “pest repeller” right on the front. The white devices should blend in pretty well with white walls and outlets, but it’s easy to tell that the product is a pest repeller. Some people don’t mind this design, but others worry that their visitors will see the device and assume that their home is infested. This WILDJUE product has excellent user reviews. Most reviewers used the repellent for spiders, mosquitoes, and roaches and had great results. It should repel most other insects as well. Several reviewers also mentioned using the devices outside to protect their yard or porch from pests. Because it works best in open areas, the ultrasonic device could be very effective when used outside to prevent pests from entering your home. However, the repellent probably isn’t waterproof , so you should be careful when plugging it in outside. Remember to bring it indoors whenever it rains. 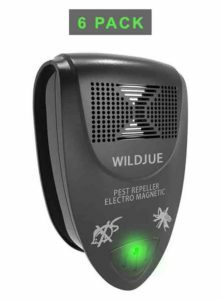 WILDJUE Pest Repeller ElectroMagnetic is recommended for people who have a problem with spiders, mosquitoes, roaches, or other insects inside or outside of their home. Even if you don’t have success with it, the seller offers a 100 percent lifetime guarantee. If you don’t see results within four weeks, they’ll refund your money, no questions asked . You can buy WILDJUE Ultrasonic Electronic Pest Repellers in a pack of six or a pack of two. These devices are probably the most visually attractive on the list. The devices in the pack of six have a blue and white design with an ultrasonic speaker that looks like a star or snowflake. The devices in the pack of two are entirely white. Unlike some devices, they don’t say anything about pest control on the front. For all your guests know, the devices are just air fresheners. There are three settings you can choose from on the device by pressing the button on the front. The green light indicates the setting for mild infestation. The yellow light is best for moderate infestations. The red light is meant for severe infestations. The device should take care of most insects and small rodents. If possible, avoid plugging it in near carpeting, curtains, or other fabric. They may absorb the sound waves and prevent the device from reaching a wide area. Like the other WILDJUE product on this list, this ultrasonic device might not work as effectively near carpeting, curtains, or other fabrics. The sound waves could get absorbed before reaching the pests , so you’ll have to place it strategically to get the best results. Some reviewers also mention that the plastic starts coming off of the device after a while . This might not be the most durable repellent, but you can probably contact the seller or manufacturer for a replacement if you have an issue. The seller offers a lifetime warranty and guarantee, so if you don’t have good results within four weeks, you can get your money back. Most reviewers have had a great experience with the product, though, so you’ll probably have no issues. Ultrasonic frequency devices are just one of many pest control options. Before you decide whether you should buy one or which one to buy, you should understand how they work and what you should expect. These devices release ultrasonic sound waves that are too high for the human ear to hear. These frequencies are disturbing to rodents and insects, though. The sound waves affect the central nervous systems of small animals, so they become very uncomfortable. The pests will then leave your home to get away from the frequency. Because the pests all leave the area after feeling the ultrasonic frequency, it’s common to notice an increase in the number of bugs or rodents in your home for a few days after installing the device. If this happens to you, don’t worry. The pests are all on their way out, and they should be gone within a few weeks. Most devices send out sound waves in all directions. For an ultrasonic repellent to work well, it should be plugged in about a foot off of the floor. It also needs to be plugged in vertically, so you shouldn’t install it in a horizontal outlet. The outlet should be out in the open, so the sound waves won’t be blocked by furniture, curtains, or other obstructions. Ultrasonic frequency devices are one of the safest and easiest pest control options. They don’t use any harmful chemicals or pesticides, and they can’t harm humans or most pets. They’re also very easy to install. In most cases, all you have to do is plug the device in and turn it on. You won’t have to empty any traps or sweep up dead bugs around your house. 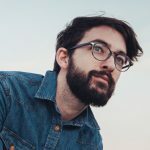 Therefore, they’re a good choice for people who are uncomfortable with killing pests or for people who want an easy, clean pest control solution. As with all pest control features, there are some important considerations when choosing a product. The first thing you should determine is how many rooms or how much space you need to be covered. Many ultrasonic pest repellents can cover over 1,000 square feet, but they can only cover 1,000 square feet of open areas. The sound waves can’t travel through walls, so their range is limited to the size of the room. If your house is made up of lots of smaller rooms, you’ll need to set up multiple devices to get rid of pests. Figure out how many rooms you want to cover, and make sure to buy a product that includes enough individual devices. You’ll also need to buy an ultrasonic repellent that targets the right pests. Most devices work on all rodents and insects, but some are better than others for certain species. Check the manufacturer’s description and user reviews to make sure the product will help with your pest problem. Also, if you have mice, rats, or other rodents as pets, make sure the repellent you buy won’t be harmful to them. Some ultrasonic repellents have an LED indicator light. Since you can’t hear the high-pitched frequencies, the light will let you know that it’s working properly. This is a great feature to make sure your device isn’t defective, and it also lets the product double as a nightlight. Price is also an important factor for most shoppers. Generally, cheaper repellents won’t be as strong or durable as better-made ones. However, expensive doesn’t always mean high quality. You can get a great set of long-lasting ultrasonic repellents for under $50. As long as it fulfills your requirements, a product in the middle price range should be fine. There isn’t one ultrasonic repeller that will work perfectly for everyone. You should choose a product based on the size of your home, your budget, and the types of pests you need to get rid of. 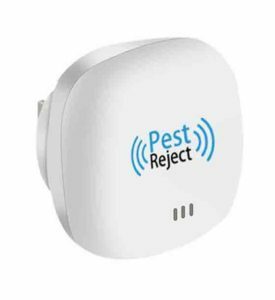 If you mainly have a problem with bugs, the WILDJUE Ultrasonic Electromagnetic Pest Repeller could be your best option. If you only need a few devices to cover a smaller home, you might want to buy the Ever Pest Mosquito Pest Repellent. 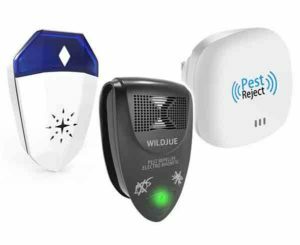 But for a couple devices for a low price, the WILDJUE Ultrasonic Electronic Pest Repeller may be right for you. Take good care of your ultrasonic pest repeller and it can last for years. Once the pests leave your home, they won’t come back as long as the repeller stays plugged in. It’s a safe, clean, and easy choice to keep away mice, spiders, roaches, and other pests. Please recommend best and effective ultrasonic pest repeller against rabbits scavenging over my lawn. Advise if such is battery or electric based unit.